there are a lot of people to thank with this one: Nathan Purkiss for his 3D designs and generally putting the update together, Jason Comerford for the great work on the title banner, Carol Kirk and our map making teams, and all the other folks working behind the scenes to bring the city to life. Nice to see it coming along so well! In past threads we've learned that there's going to be nearly a hundred Moguls (I think 95 was one number I recall) in the game and that perhaps roughly half of those will be located in city zones that won't be part of the the initial launch of the game. Is that information still basically the same or has there been any significant change in MWM's expectations on this? Brings up a question: looking further forward, will Moguls be able to be featured in UGC? I.e., can I set a mission to take place in a Mogul? If not, I'm still happy to be spoiled for a bit. That's a good question. You have to figure that every Mogul building is likely going to have at least one door so you'd think that door could be selectable as a mission entrance for any mission either as UGC or something the Devs decide to use for themselves. Not sure the supposed "owner" of a Mogul is really going to have any tangible in-game rights to refuse their locations from being used as equally as any other location in the game. They might make it where every Mogul building actually has at least two doors - one might be reserved for only the owner and the other could be used by anyone for anything. This "two door" idea is just a completely random guess on my part. It might be nicer if the game recognized you as the owner so when you clicked on a door of your Mogul you might have more options available to you than any other player. This night-shift week has messed up my lurking patterns. But how did it slip by everyone else for more than a day? I hope that, at the very least, the Mogul Owner can use the UGC to make the insides of their own structures. I really love this kind of Update. I can't wait to be part of this fantastic universe !! Titan City, I wait for you !! I'm surprised to find that the stories which introduced the Miskatonic and Miskatonic University are in the public domain. For a moment there, seeing that name in an official MWM update made me worry about, in the words of Scott Haring, "vile ashunzuv khoppi rites." It's used in several other games lately. We check for availability before using. Despite the "3/19/19" date on JWBullfrog's original post this thread didn't actually "appear" in the open forum until a few hours ago. I have no explanation for that other than that's what I "saw" happen here. I guess he started writing this on the 19th and only decided to "save" it today. We posted this after 2PM (I don't recall which time zone though). We had a LOT of concerns over that one, but we researched as hard as we could, and as far as we can tell, it's public domain. We do reserve the right to change it, but the backer asked for it, and as far as we can tell, it's legal - and it's even regionally accurate. Miskatonic first appears in Herbert West - Reanimator, which was written and published before 1923. PS: What happened was we put it on the forum yesterday, but didn't publish it - which makes it visible - till today. Yes it would make sense that the Mogul Owners would be able to design their own "penthouses" (as per the Kickstarter description) with the UGC/base design system. Actually, I was thinking for everything but their own penthouses, or more accurately for all the public spaces, for everyone else to be able to see the insides. Of course getting to have "indoor spaces" other than the penthouses would be an "extra bonus" beyond what was specified in the Kickstarter. At this point I'd be amazed if the Devs signed on to allow for that. These locations seem pretty cool! edit: Cabbit has the right of it. Looking at the time stamp, that's when I first uploaded it and started working on it. It takes a while to load that many pictures. The realism is quite nice. The needs of the many , far outweigh the needs of the few . Or the one. I have to say, this makes me wish I had kicked in more bucks for a Casa de Cobalt. C'est la vie. It's been several years since I heard anything on my building. I just checked and my Kickstarter page is active with the right email. I THINK my email said that my zone would not be going live with the initial release, but is there any place Moguls can go to find out the status of their building? blue, PM me and I'll see what we can find out. The buildings all look very nice. In future updates, would it be possible to see the mogul buildings actually in place (at whatever location, with surrounding vegetation and/or buildings)? That would give a fuller sense of how the buildings fit into the neighborhood (or stick out). We have a bit of map building before we get to that point. But once we have something worthwhile, we'll make sure we show it off. I am curious to find out how some of these buildings are designed. Is the inside of the building taken into consideration when designing the outside features? Not in the sense that there is a detailed floor plan, but maybe just a rough idea of how space is budgeted for moving around or staircases, elevators, fireman's poles & such. Or also just the aesthetics of the building features for the observer from the interior or exterior? Some of it could be hand wave-y mystical magics, but not in all cases. I would say that every building we make has some concept for its interior, but some buildings the interior has been given more direction as a defined space in line with the mogul contributor's concept, and some have been given less direction. So for instance, the animal hospital was requested to be larger than a small local vet store because the mogul contributor wanted a building that felt like it could accommodate super-sized pets. Others we might have used more traditional architecture, like the stable at Aegis which called for a Victorian stable and courtyard, so I used a classic English courtyard with stables as a reference, and I think it came out looking pretty close to the real scale and functionality of the buildings that were referenced. The only one that kinds trips me up, really, is the Dante Tower. Just using the doorway/ladders at the top for scale, there's literally no way that the doors could lead to any sort of interior larger than a broom closet. There's no space within the arches for stairs, so the sort of upper levels access I can imagine would fit are simply ladders, which beg the question of why they would need to be interior as opposed to exterior, like the upper ladders are. Champions Online has a pair of buildings right in the center of town just like this, and they have always driven me crazy (Admittedly, where Dante Tower doesn't really look like it would have any *usable* space inside, the CO towers are actual office tower like skyscrapers that ostensibly hundreds/thousands of people work in, that have literally no possible way for them to get from the ground floor up to the usable spaces). Yeah, the Dante Tower as-is bugs me too - but if you notice, it's also the one we said we're modifying to fit on/with the environment - that's the chunk that'll get rebuilt as appropriate. Yeah I wish I could have afforded it back then, I wasn’t doing nearly as well as I am now. At least I’m pretty sure I was able to buy the add-on to design my own NPC in the game (though I can’t be 100% sure since KS doesn’t have record of those things). These buildings are just amazing. I love the Hippocrene Towers! The buildings look great and I like how the neighborhoods are coming together. Can't say I'm thrilled with using Miskatonic U as an in game place. I would have preferred something that doesn't already have a bunch of outside lore associated with it. But I'm not a mogul, so I don't really get a say in it. I think Miskatonic is pretty much right on the line of 'this is exactly as far as we'll go'. There were debates over it. Long ones. Legal liability questions, etc. At the end of the day, after talking to the backer, we decided to tip it in his desired direction. Yeah to be honest were I the player involved I would have avoided using the exact "lore" of other IPs in these Mogul submissions. I love Lovecraft as much as anyone and there's no reason you couldn't have a "Lovecraftian inspired" Mogul building; I just would not have used the exact words "Miskatonic University" in relation to it. I would have at least tried to come up with another similar-sounding name (Siskatonic? Niskatonic?). But like Soulwind said each player who bought a Mogul was allowed to design it however they wanted. It was up to MWM to decide whether whatever a player wanted was fine for CoT or not so the "responsibility" is as much theirs as the players involved. At least as warcabbit says they thoughtfully considered the pros and cons first. In full disclosure I picked a real life building as the model for my Mogul building. I didn't attach any existing "IP lore" to my building beyond the physical building itself. My thinking was it would be easier for the art Devs involved to just take a look at the thousands of existing pics online and come up with something that was "artistically inspired" by the real life building without copying it 100% identically. I suppose one could argue that asking for a Mogul building that looks close to a real life building might be "as equivalently bad" as asking for one named "Miskatonic University". All I could say to that is that when I told MWM what I wanted I specifically specified some unique changes for the CoT version that would make it NOT be 100% identical. Since my Mogul has been "placed" on the game map and appeared in one of the earlier "Mogul updates" I'm assuming the MWM folks came up with something that works for them. Can you give more details about the building? A link to that update perhaps? I'm curious! In full disclosure I picked a real life building as the model for my Mogul building. It's been a while - had to go dig for it. Turns out the post that best summarizes my Mogul so far is in a thread in the Kickstarter Exclusives area of the forum so I'm not sure I ought to directly link to it here. But since you are a KSer as well I can probably at least tell you it's in the "Downtown Map" thread post #54. Basically in a nutshell it's called "Skyspire" and it's based on the Burj Khalifa in Dubai. Like I mentioned I asked for a few "modifications" so I'm not expecting it to look 100% identical to the real life building. The only pic of the "in-game" version of it so far is from a long distance, low-res skyline point of view so you'll see there's not much to actually "look at" so far. I'm 90% sure from memory the Burj Khalifa's distinct look is trademarked, so yes, there are fairly extensive alterations, but none that should alter your enjoyment of the experience. Well, it's actually a good choice. It is iconic and you "easily" can change it up to make it unique looking but somewhat recognizable. I remember there being a "flight ceiling" in CoH (as there is in most games I suppose) and I've been wondering how tall you were going to make Skyspire in relation to that. TBH, I assumed that nothing in the CoT "game environment" would be allowed to be taller than your top flight ceiling by definition so I naturally assumed Skyspire would be made to be at most only as tall as your flight ceiling would allow. I honestly didn't think you would (or even could) allow something in the game to be taller than that. Was there any building like that in CoH that was taller than the flight ceiling? Maybe the big Lord Recluse tower in Grandville was taller but I can't hardly think of anything else off-hand. Lothic, we can adjust the mogul scale and when I get to working on yours, if you want to make an adjustment like that, we certainly can. Thanks for your quick response to this. I will likely give the issue some good thought and write you a quick summary PM to nail the details down. I totally did not foresee the height of this Mogul building being a potential issue as it relates to the game's flight ceiling but in retrospect I suppose I probably should have. Like I said I probably just assumed the building's height would not be allowed to be higher than the flight ceiling by definition. Thanks again for the opportunity to get this sorted out. CoH had buildings higher than the flight ceiling (which was above the blimp's flight range). I had the flight travel power usually and I liked to explore so I found a few places like that. Was kind of frustrating I'll admit. Well for what's it worth I'm glad you mentioned it here and now so that I'd have the chance to get it sorted one way or another. Like I mentioned I think I tried to visit the top of the Grandville tower one time without success. I totally understand the need for a "flight ceiling" from a software development point of view but it really does put a damper on the "being a cool superhero that can fly as high as you want" angle. Happy to talk with anyone in PM about their mogul and answer any questions I know the answer to. And while we cannot always accommodate requests for changes in mogul design, if there is a serious concern any mogul contributor has with their model, we want to try to work through those issues so it works for the mogul contributor. Good choice, the Burj Khalifa is one of my favorite real-life buildings. So iconic. Also I always got a “Fortress of Solitude” vibe off of the building so it’s especially appropriate for this game. At the very least I'd figure that CoT's flight ceiling has to be relatively higher up than the one we had in CoH. I'm not implying it should allow us to go all the way into "low Earth orbit" but by the same token I really don't think there should be ANY OBJECT in CoT that we can't fly over be it a tall mountain or the tallest building in the game. Nothing should feel "artificially too high" for us to fly over. chop off the top bit that exceeds the altitude limit and make that bit look like its still under construction. Maybe even have a couple of steelworkers sitting up there lunching and talking about esoteric things. In compensation to Lothic for an unfulfilled request, give him some input for the exploration badge that will go there. Thanks. I'd forgotten. So yes, we'll need to adjust but it'll still be VERY TALL. Thanks for the update! While not a mogul, I greatly enjoy seeing updates to this donor offering. I can't wait to fly around these buildings, land on their balconies for clandestine meetings with shady contacts, and fight mobs of goons in the shadows they cast over the City of TItan's busy streets. According to avelworldcreator the CoT flight ceiling is 1km AND my Mogul building (Skyspire) is apparently currently taller than that. With the "we'll need to adjust" phrase warcabbit also implies Skyspire is currently exceeding the game's flight ceiling. That would have to mean that for some reason MWM made an initial version of Skyspire taller than 1km. But according to the wiki the real life Burj Khalifa is only 828m tall. So my question would be why a Mogul based on a real life 828m tall building would ever be created to be taller than 1km in the game. I suppose it could have been a simple scaling mistake which sounds easily correctable. I obviously have no reason to doubt avelworldcreator when he says the flight ceiling in CoT is in fact 1km. 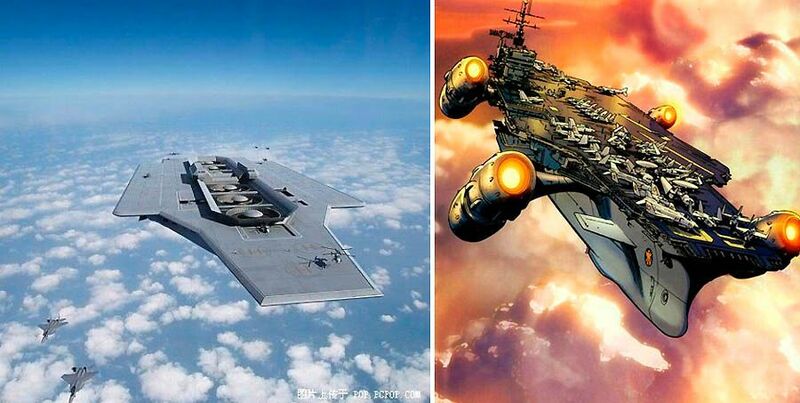 If that is actually true a 828m version of Skyspire should easily fit underneath it. Because I read 2,700 feet as meters. That's why. I think I need a nap. Seems like the height of the ground it's built on relative to say "sea level" could also be a factor as well. Obviously, the 'Space Elevator' is not to be limited by a ceiling of any sort. Lol no worries - everyone makes mistakes. Too bad the actual CoT flight ceiling isn't 2,700 meters high. Now to be absolutely clear the real life Burj Khalifa is 828m tall which is roughly 2,716 feet. Is that the "2,700 feet" you're talking about? 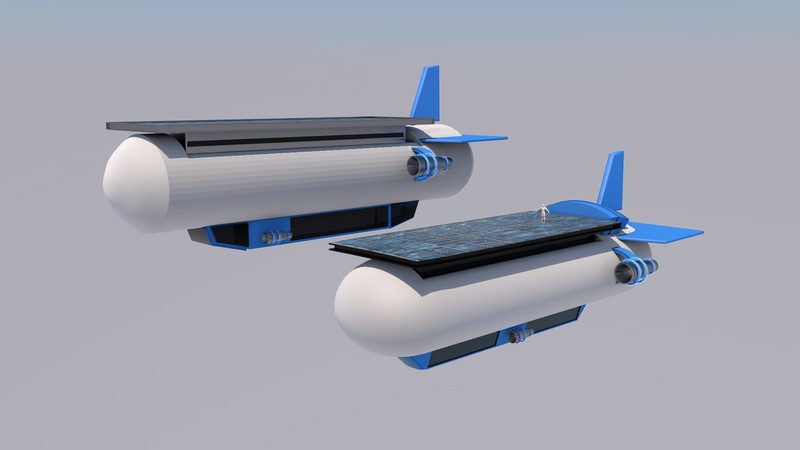 Regardless as long as Skyspire (my Mogul) is modeled to be approximately 828m tall then it should fit comfortably below the 1km flight ceiling. It could be a factor in this case but I'm guessing the altitude at street level throughout most of Downtown is not that much above whatever counts as the "base" (sea level?) of the map. Even if the base is like 10 or 20 meters above sea level a 828m tall building should still easily fit under a 1km high flight ceiling. If there's going to be a "Space Elevator" in CoT I would assume that it would functionally act as a "teleport portal" between the ground map and whatever map it's connected to at the top. I doubt you'd be able to "see" the outside of the elevator as you're going up or down. I just remembered by a trustworthy member of the team when the topic of flying and building heights came up that this was the one building above our flight limit. When it came up here I stated what I recalled being told. Yes, that is the 2,700 feet I was referring to. I rounded. One other thing to note is that in addition to Skyspire there was one other mogul contributor who also requested a building as close to Burj Khalifa as possible. So the opportunity is to make two buildings that have many of the qualities we like about Burj Kalifa, but with some distinctions for each of them. I actually think this makes for an interesting city skyline when some buildings share similarities. Like with the Black Star and Hippocrene Towers - I think it can be interesting to see buildings that look like they are related some how, but also very distinct. We will reach out to you Lothic and the other contributor when we are designing those neighborhoods your moguls are in and will work with each of you to provide some distinctions that make your building separate, but also having many of the qualities you like In Burj Khalifa. Thanks for chiming in. Having two super sky scrapers will be great! By the way, I noticed the stairs and the handrail to the stairs in front of Madame Meagor’s Macabre Museum were a bit large for the scale of the building. I'm assuming those types of details would be fixed naturally, though, right? All I'm saying is that if you guys end up modeling Skyspire to be "roughly like the real life Burj Khalifa" it should only be around 828m tall. Again this should put it well beneath the CoT flight cap. I don't know if you have access to the write-up I submitted to MWM when you guys asked about what I wanted for my Mogul (Skyspire) or not. As I said at that time even though I wanted Skyspire to be "based" on the Burj Khalifa I mentioned a few KEY DIFFERENCES that should not only make it unique from the real life building but also from the other Mogul building you've mentioned here. We won’t have Moguls in Second Chance as far as I understand. Lead Graphic Designer, UI and 3D artist. 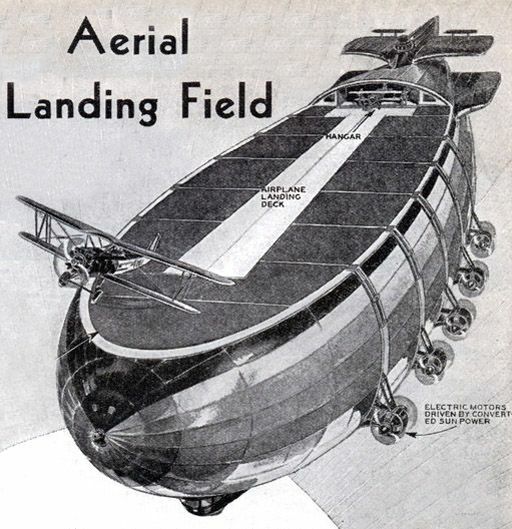 A blimp that expressly has a dance floor ontop of it? I would think after a while the blimp operators (or owners) would employ a tactic similar to what businesses do to dissuade pigeons from landing on stuff. aka coat the top of the blimp in large spikes to scare the supers away. A blimp with a health bar maybe? 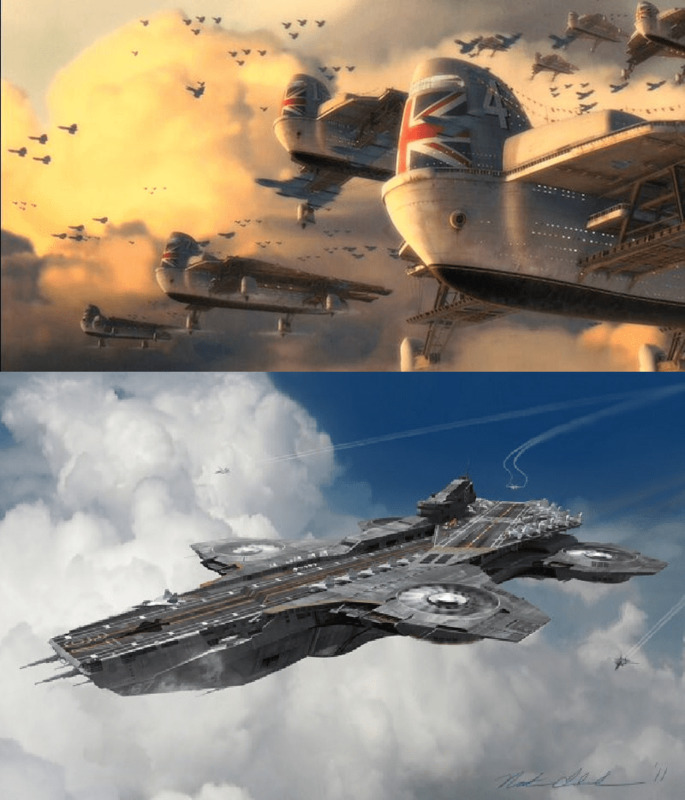 Man, I loved Last Exile. I thought I actually stood on that blimp. Can't remember. The blimp will need advertising panels. Good start thought, Don. 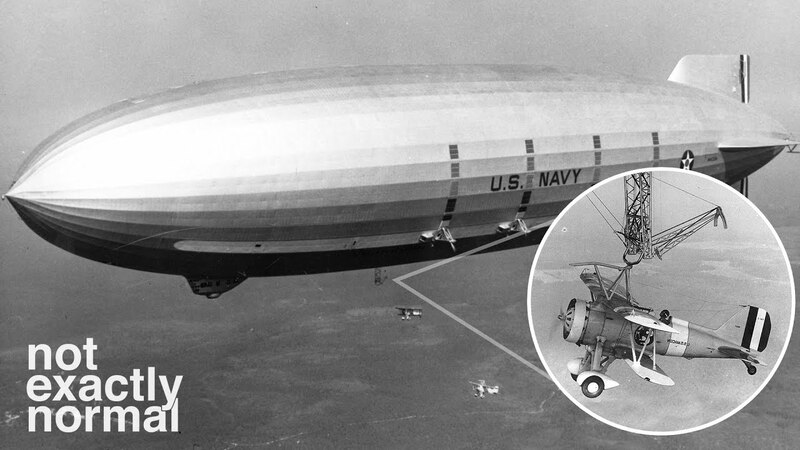 The CoH blimps were implemented how like many of the cars/boats were in that game. You could "sort of" get on them but you would slip/slide off of them immediately. They were not "solid objects" in at least the sense of being able to stand still on them without constantly having to readjust yourself as if you were balanced on a unicycle.